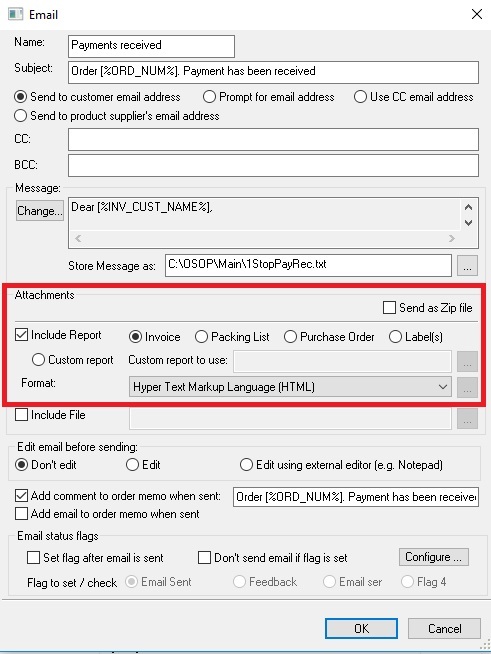 This guide shows you how to email reports such as Invoices, Packing lists and Purchase orders within One Stop Order Processing. These are generated in either HTML or PDF format and are sent as attachments. This feature is available in Professional, Premium and Enterprise. 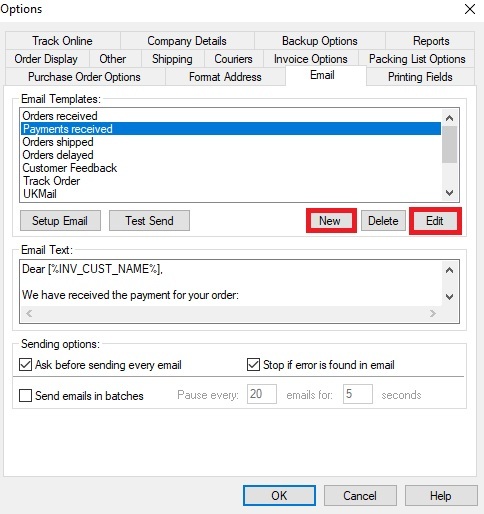 Before you send emails with attachments you will need to connect email with One Stop Order Processing, click here to find out how. 2. Create a 'New' template or 'Edit' an existing template. 3. Choose the attachment that you would like to use. 4. Choose the file type to use. If you have not previously used PDF format the PDF converter will automatically download when you select this file type for the first time. 5. Click 'Ok' to save your changes.